In fourth grade, children's social lives begin to get more complicated and the academic demands they face grow as well, but parents can help them through this crucial year by identifying the reading, math and science skills required to master the grade level. This fourth-grade guide for parents offers tips on helping children deal with cliques, heavy backpacks and more. 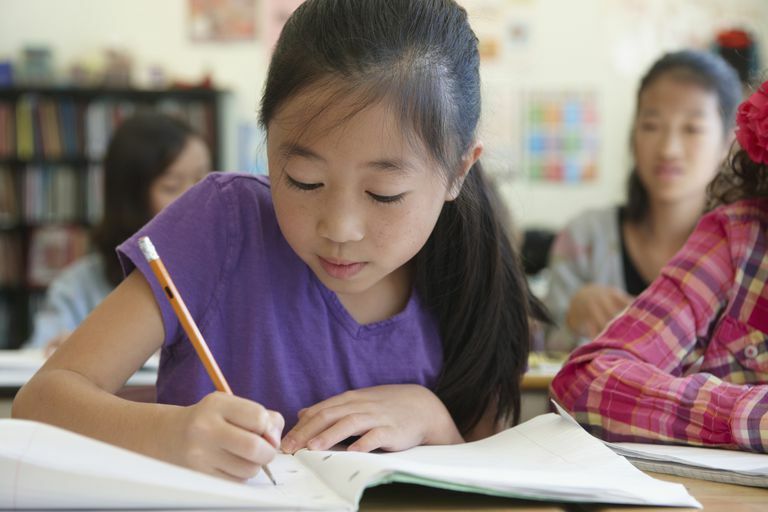 What You Can Expect in Fourth Grade: Here's a brief overview of what you can expect in your child's fourth-grade year. What Do Kids Learn in Fourth Grade? : Kids learn a number of new things in fourth grade, both socially and academically. Just as the formation of cliques begins to increase and complicate your child's social life, the academic ante is upped as well, requiring him not only to be responsible for his own work, but to work in groups as well. Signs of Learning Difficulties in Fourth Grade: Fourth grade is a year when children are expected to take on new challenges, and it's important to be on the lookout for signs of trouble. Such signs vary, but if your child is consistently showing trouble in any of the areas covered here, it's a good idea to check in with his teacher or pediatrician for a closer look. Fourth Grade Science Topics: Your fourth grader will tackle physical science, earth science and biology this year. Books for Students Entering Fourth Grade: By the time your child is ready to enter fourth grade, she not only has a good grasp on the rudimentary skills required for reading and comprehension but has also been introduced to a number of different genres during third-grade reading. Add some poetry and folk legends to her library. Math Help - The Forgiving Method of Long Division: Many teachers are using a new technique known as the Forgiving Method of Long Division. Learn how to help your child with this math homework. Order of Operations: Many parents last took algebra years ago, making it hard to give children the math help they need. The most important thing to remember is that your child does the addition, subtraction, multiplication and division in the right order. Math Games Online: These sites offer lots of fun online math games that encourage the development of addition, subtraction, and other math skills. Fourth Grade Math Course of Study: Here are some basic concepts that should be mastered by the end of the school year. Fourth Grade Science Fair Project Ideas: According to chemistry expert Anne Helmenstine, "Great fourth-grade science fair projects involve answering a question, solving a problem or testing a hypothesis." Questions to Ask Your School About High-Stakes Tests: Even if you know a lot about the mechanics of high-stakes tests, you should pose questions to school district officials about which ones schools use and why.